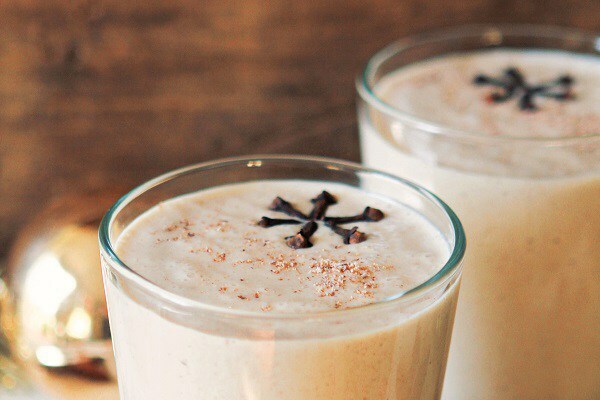 Want to try your hand at a homemade holiday nog? This recipe is simple and very tasty! In a small bowl, soak the raw cashews in the hot water for at least 30 minutes. Drain. Pour the soaked cashews, almond and coconut milks, dates, vanilla, cinnamon, cloves and salt into a high-speed blender and blend until creamy. You can strain it if you like, but not necessary as it is very creamy and thick without straining. Serve cold with rum (if you like!) and garnish with whole cloves.